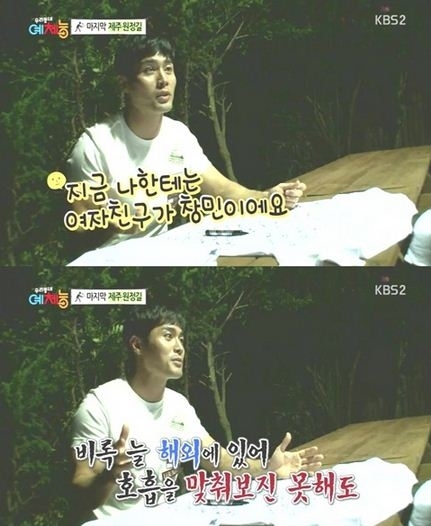 Actor Lee Jong Soo expressed his affection for TVXQ’s Max Changmin. The episode of KBS 2TV’s ‘Our Neighborhood’s Master of Variety and Sports’ that aired on the 10th was named, ‘Our Neighborhood’s Master’s last badminton match, going to Jeju Island’. Kang Ho Dong, Lee Soo Geun, Max Changmin, Chansung, FeelDog, John Park, Lee Ji Hoon, Jo Dal Hwan, Lee Man Ki and Lee Jong Soo headed for Jeju Island for their badminton match with the Jeju Jochun team. The night before the match, each member signed a t-shirt for his partner and took the time to praise each other.